Secret to Healthy and Longer Living: Why to sit on the ground and eat? The act of sitting together on the ground and eating seems quite ancient for the present techno-freak generation. A classy dine on the furniture or to sit in front of the television and eat; are few of the recent techniques of eating food. With transformation in living patterns we are going away from the nature and becoming dependent upon the mechanical world i.e. going away from nature to virtual. Yet at few places the bond of togetherness and tradition of sitting together in ‘sukhasana’ to eat is maintained, which in turn is beneficial for healthy living and high thinking. Let’s make you aware with the pros of this unique habit prevalent at Gurudwaras and temples. The continuous movement of the abdominal muscles of bending forward and then becoming straight while eating, facilitates the proper process of digestion. 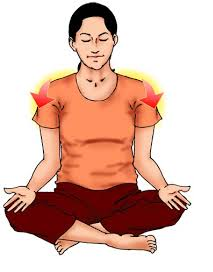 The ‘sukhasana’ or ‘padmasana’ posture applies pressure to the lower spine that in turn brings calmness and relaxation. This position activates the satiety value and we feel full soon, and it also makes us eat slower due to which overeating is prevented. According to leading nutritionist, Rujuta Diwekar, eating food while concentrating on every aspect of the food – its smell, taste, texture and how much you are eating is the key to losing weight. The sitting postures help to keep our joints supple, flexible and less prone to injuries and degenerative diseases like arthritis and osteoporosis. Sitting cross legged maintain the blood circulation and the blood is pumped to all the required organs for digestion, much better than the sitting on the chair. The act of sitting on the floor and eating calms the mind and body that further leads to warm and blissful bonding among family members. In the Holy Koran, it was narrated that the Prophet used to eat (sitting) on the ground. He said: “I eat as a slave eats and I sit as a slave sits.” It automatically inculcates the feeling of gratitude and keeps us grounded. ‘Sukhasana’ means ‘calmness of body and mind through posture’ which makes us live longer and healthier. The favourable act is a secret to blissful life and I am sure that none of us would like to compromise with our happiness. So why not go for some cool low furniture with runners and rugs in the room and enjoy the delicious food with friends and family on the floor. Moreover those who sit on the ground are not afraid of falling from the bed! This entry was posted in Puja, Rituals and tagged auspicious, blood circulation, calmness, chair, cross legged, digestion, eating food, faith, family, flexibilty, floor, furniture, gurudwara, happiness, have a little faith, health, healthy and longer living, Hindu, hinduism, padmasana, peace, secret, shubhpuja, shubhpuja.com, sitting on the ground, sukhasana, temples. To achieve steadiness and cleanse the mind, body and soul; we adore and praise the supreme Lord and his miraculous creation. Literally, ‘Man’ means mind and ‘Tra’ means wave or vibration, so mantra is a technical practice that enlightens the mental and physiological state. You might have heard about distinct mantra for different deity and purpose. For every puja conducted at home, the Vedic scholars chant so many mantras yet most of us are oblivious to the relevance of chanting mantras and simple recite them in our daily routine. Let’s know them and then chant. Mantra chanting balances the nervous system and normalizes the hormone production, which in turn maintains the working of the body systems. An upsurge in the energy level is attained, which replaces the materialistic thoughts with realization of Almighty. It transcends the senses of the body and we feel free from the bond of time and space, thus away from the weight of worries. ‘As music has charms to soothe a savage beast, so the spiritual sound of mantra soothes the restless mind’; it soothes our cellular level. Mantras awaken our dormant conscious and help us to connect with our spiritual identity; we begin to experience oneness among us and Him. It helps us to concentrate on our breathing pattern, whose regulation is a secret for stronger immunity and body balance. It won’t work if you don’t do it, so by constant repetition, in group or alone, it will enhance the will power and faith. 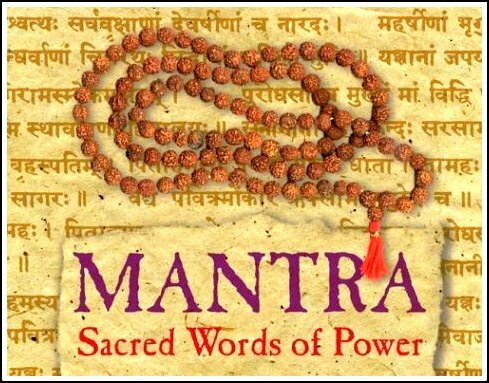 Mantra activates the chemical signals in the body that transforms the unconscious into conscious, automatic into deliberate and mindless into heartfelt. Chanting mantras is a conscious method of controlling our moods, and in turn, our frequency and resultant all-around radiance. It enhances the concentration level and in turn the memory power enlarges.It acts as a brain stabilizer and one can experience the state of trance by recognizing our own natural state. The pros of reciting mantras are unlimited and not just few of them mentioned above, but all of it can be experienced if you try it sincerely. No matter from which ever generation you belong, the next time you chant a mantra, do it genuinely and then feel a change within you. This entry was posted in Puja and tagged ancestors, bestow, blessings, body, body systems, calm, chanting mantras, concentration, divine, energy, enlightenment, experience, faith, happiness, have a little faith, health, Hindu, hinduism, humanity, Mantra, memory power, mental, mind, natural true state, peace, physiological, psychological, reciting, relevance, shakti, shubhpuja, shubhpuja.com, sincere, soothing, soul, spirituality, trance, universe. The night of stillness or the great night of Shiva is a largely celebrated festival among Hindus. Maha Shivratri is celebrated on the new moon day in the month of ‘Maagha’ according to the Hindu calendar. Among all the 12 Shivratris that occur throughout the year, Mahashivratri holds the utmost spiritual significance. The absolute formless God, Sadashiv appeared in the form of “Lingodbhav Moorti” exactly at midnight on Maha Shivratri, due to which all the Shiva devotees perform “Shivlingam abhishekham” at midnight. As per renowned stories, the auspicious ‘Samudra Manthan’, where lord Shiva drank the poison ‘Halahala’ to save the entire humanity from evil destruction; marks the celebration of this event on this day. Another legend reveals, once a hunter waited on the wood apple tree for his hunt, in the meanwhile he started throwing leaves on the ground. Oblivious to the presence of Lingam on the ground, Lord Shiva was pleased with the patience and dedication of the hunter and blessed him with wisdom. It was said that once Goddess Parvati pledged Lord Shiva to save the Earth from destruction, in return lord Shiva kept a condition that the devotees will worship him with complete faith and dedication. On this day devotees express their gratitude through enthusiastic prayers. As per the research, the Northern hemisphere is positioned in such a way that there is a natural upsurge of energy in beings. The fundamental of this night long festival marks the gain of natural energies into our body and soul. Beings who want to proceed ahead on the path of spirituality, offer special prayers on this day and become still with the stable Lord. After many millennia in meditation, the day when supreme Lord becomes stable is Mahashivratri. This day provides enhancement possibilities to the yogic seekers. Mahashivratri is not only a ritual but a cosmic definition to the Universe. It dispels ignorance by spreading the light of knowledge, and blesses the beings with wisdom and happiness. This entry was posted in Puja and tagged auspicious, blessings, book now, cosmic, devil, devotees, divine, environment, evil, faith, fortune, halahala, happiness, have a little faith, Lingam, Lingodbhav Moorti, lord shiva, mahashivratri, midnight, night of stillness, parvati, Samudra manthan, Shivlingam abhishekham, shubhpuja, shubhpuja.com, stillness, universe, wisdom, yoga, yogic seekers. Adoring and praising the creation of supreme Lord begets gratitude in the mortal beings. But in a world, where biasedness prevails in terms of caste, religion, colour, dialect and so on; the human beings have disregarded almighty and his beautiful creation. The true essence of humanity and kindness is overshadowed in the presence of abhorrence, cruelty and self-centred traits. Remembering those lovely lines of a poet, “Ek Umar Bhi Kam Hai Pyaar Ke Liye; Log Kaha Se Samay Nikal Lete Hai Nafrat Ke Liye”; meaning- Life is too short for love; where do people get time for hatred. Getting far away from the base of life, we are indulged in the glittering world of materialism; i.e. the major cause of troubles and grief in our lives. When the matured beings are parting from the devotional feelings of remembering God then imagine the deteriorating culture among the new generations. Yet here we highlight the worth of remembering God by adhering the holy Vedas and how they prove to be beneficial for us. Our Vedas are the source of living on the spiritual path, towards the supreme destination of existence. Performing the worship according to the rites and rituals helps us to celebrate and honour life every moment and also seek His blessings for prosperity and physical or mental well-being. The Vedic worship includes a combination of Mantra (recitation of Vedic mantras), Yantra (meditation on mystical representation of subtle energies) and Tantra (rituals of worship). The worship includes all the five Panchamahabhutas or the five elements of fire, water, earth, air and ether that represents the presence of ‘macro world’ within our ‘micro world’. It brings happiness and longevity in life by seeking the grace of Supreme Lord. By performing the worship, positive ambience is created by rejuvenating the entire space. Pujas and Homas being self-healing meditation techniques benefit an individual with a more ideal state of mind and body. It increases harmony in the family creating a significant decrease in emotional numbness. Vedic worship radiates increased IQ, better moral reasoning and emotional maturity among the people, who perform it. It is a self-cleansing ceremony that leads to active brain functioning, decreased cardiovascular disease and improved general health and blissful long life. Most importantly, the worship as per Vedic rituals leads the devotees to seek fruitful blessings of the creator more than the latest short cut ways, available nowadays. No matter how far we progress, the realization and awareness about omnipresent and omniscient God is an essential dose for mortal life; and thanking Almighty every moment enlightens the humans on the spiritual path. This entry was posted in Puja and tagged adoring Lord, auspicious, blessings, bliss, book now, devotees, dharma, divine, energy, enlightenment, environment, god, happiness, harmony, hatred, have a little faith, longevity, love, Mantra, meditation, mind and soul, praising, religion, remembering God, self-cleansing, shakti, shubhpuja, shubhpuja.com, supreme entity, tantra, Vedas, vedic astrology, worship, yantra. “Na ca saknomy avasthatum bhramativa ca me manah nitmittani ca pasyami viparitani kesava”; meaning- O Krishna, I am unable to keep composed; my mind is unsteady, and I see dire indications of inauspicious omens.” The supreme Krishna guided the perplexed Arjuna on the battlefield of Kurukshetra and the direct gospel from the lips of Lord Krishna holds significance in our daily lives and provides solutions to everyday troubles. The 700 shlokas across 18 chapters as a part of epic Mahabharata highlights the Vedantic views, which needs to be imbibed in our lives. The core philosophies of karma, dharma, reincarnation, atman, brahman, maya and moksha forms the basis of the teachings of Krishna. In the beginning of the chapter, the act of knowing your true self i.e. leaving apart the physical body and materialistic possessions that are delusion, identify your higher self or eternal soul. When man is free from the effect of happiness, sadness, fear, anger, anxiety and other such emotions; then he completely connects with the supreme power and stays neutral and contented at every situation in life. 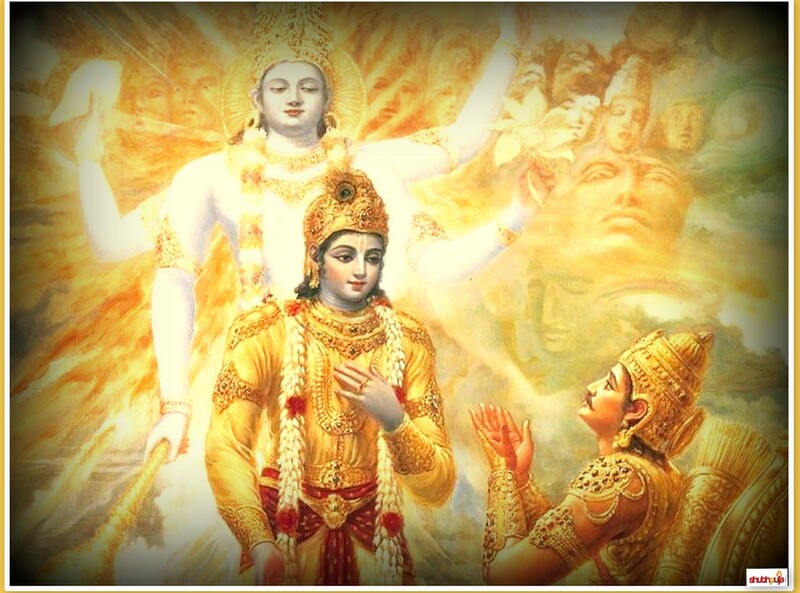 Gita explains about the relevance of cherishing the journey more than the final destination. Whatever field you have mastered in, the pleasure of creating yourself up to that level is more inspiring and beautiful than the final end of creation. So be it any phase of life, if you live in that very moment without being judgemental about results, the greed and curiosity for more, vanishes. Gita highlights the necessity of weighing everyone at the same level, be it friends or foe. “He alone sees truly who sees God in every creature he does not harm himself or others.” If the Supreme father doesn’t discriminate among all his kids, then how can we mortal beings perform against the law of nature? As the feelings of acceptance indulges the flower of love blooms within us and provides the strength to treat everyone as One human family. Lord Krishna explains Arjuna that every situation in our life is the result of our prior actions; fate and destiny need not to be blamed. Think about what you are doing right now, as your present actions decides your future results. The beautiful life is a gift of God, utilise it now and get rid of your flaws within time. Almighty is infinitely more, beyond what can be seen, felt, heard by our physical senses; so it’s pointless to be thoughtful about every action on this planet. 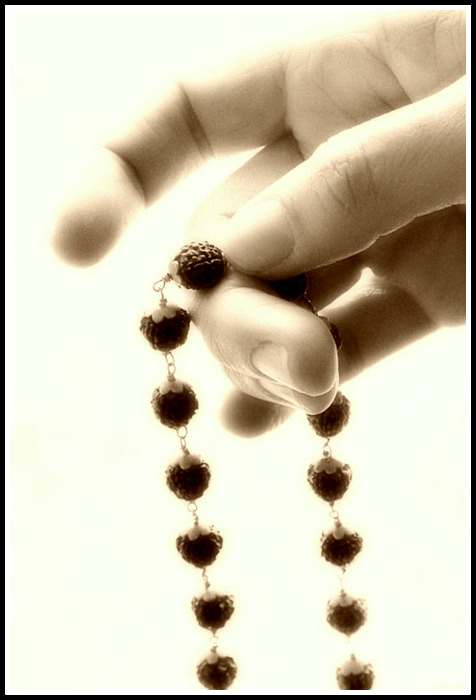 Have faith on his supreme blessings and say ‘I am in you and you are in me’. This bestows you with strength that prevents you to get trapped in the vicious circle of life. “You might like another’s duty, and dislike yours. But still, do your own duty, and not another’s, even if you can do another’s duty very well. Or you’ll go on being caught up in the field of opposites. And there will be no end to your suffering.” It is much easier to become a hermit and stay in forest, leaving your family and responsibilities; but the true challenge is to perform your duties within the world of illusion and stay connected to the true self every second. The elements of Bhagvad Gita has been inspiring from the life of Mahatma Gandhi to Robert Oppenheimer, so why not you. Each one of us is Arjuna on the karmic battlefield of life, and the teachings of Lord guide us to win the battle against our own blood relations. This entry was posted in Astrology, Mythology and tagged 700 shlokas, actions, Arjuna, atman, battlefield, bestow, Bhagvad Gita, blessings, blood relations, body, devil, devotees, dharma, environment, Epic Mahabharata, faith, good, greed, happiness, have a little faith, human family, Lord Krishna, materialism, maya, Moksha, mortals, oneness, pooja, puja, results, shakti, shubhpuja, shubhpuja.com, soul, Supreme power, win.